I decided to run on the treadmill this morning because I knew it would be humid and I wasn't too keen on gearing up for an outside run. In the past, a day like today would have been the reason to run outdoors. Things changed when we bought a stand up fan at Target and put it in front of the treadmill. The treadmill itself has been a problem, with an ongoing issue with tread belt slippage. Although that's annoying, the machine comes in handy on days like today. I put the new fan on its highest setting, turned on the treadmill's small fans and started my run. Due to the slipping/jerking of the tread, I generally keep my speed at 6.5 MPH and below. I ran fairly slow today and set the grade to 2%, since elevation seems to minimize the slipping. Although it was hot, I didn't really start to sweat until I'd covered a mile. 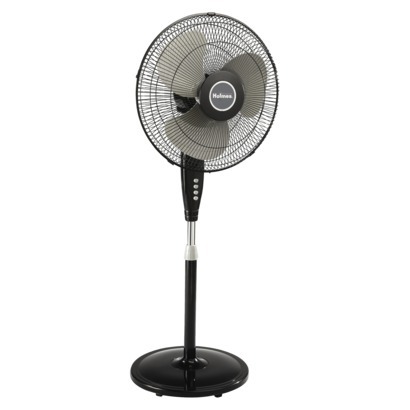 In fact, the force of the air coming off the fan was almost too strong and I'd wished I'd chosen the middle speed. Fans are cheap and they can do so much to improve the indoor experience on hot days like today. The treadmill repair guy is supposed to come next week and (hopefully) we'll get the tread issue resolved. In the meantime, we've been waiting months for parts for our elliptical. If you are thinking about getting a treadmill or an elliptical machine I would avoid buying anything made by Sole or BH Fitness.